Job title: UNHCR’s representative to Libya, based in neighbouring Tunisia. Years at UNHCR: Almost 25, working in Mozambique, Guatemala, Colombia, Sweden, Australia, India and Costa Rica, then at headquarters in Geneva, as part of a team responding to emergencies worldwide. I was backpacking through Asia, and I met Karen refugee children from Myanmar in a village in northern Thailand. I was giving them sweets and I was thinking ‘I hope, one day, I can come back with something better.’ That’s when I knew I wanted to work in this field. The Karen were the first displaced indigenous people I met. 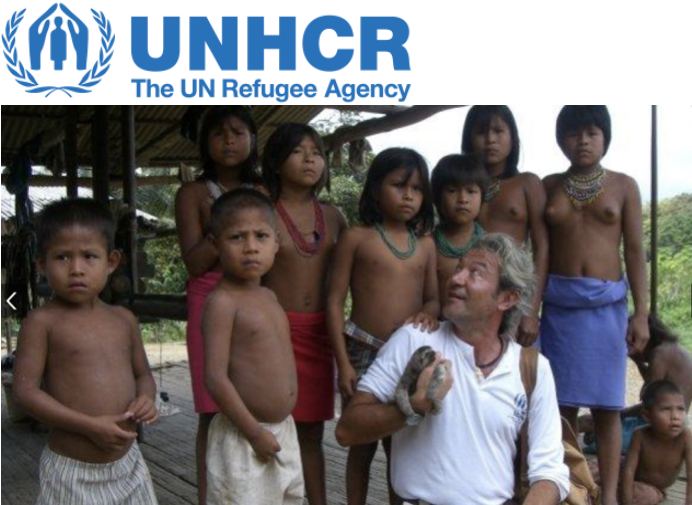 But since joining UNHCR in 1993, I have worked with other indigenous people in Guatemala, Panama, Colombia, Costa Rica and the Philippines. Working with them has become my priority and favourite area of work, because they are particularly vulnerable, and they are disproportionately affected by conflict. You have no doubt that they need protection. If you are a Spanish speaker and looking for your next international career move, UNHCR is participation in the Global Careers Latin America and the Caribbean recruitment event on the 13 February. UNHCR recruiters will be available at the online event to discuss worldwide opportunities.